Wyndham and I were on a prayer walk this morning. Feeling a lot with the near-at-hand loss of his dad, we felt the urgent need to pray. Since we are near an ocean, we went there. 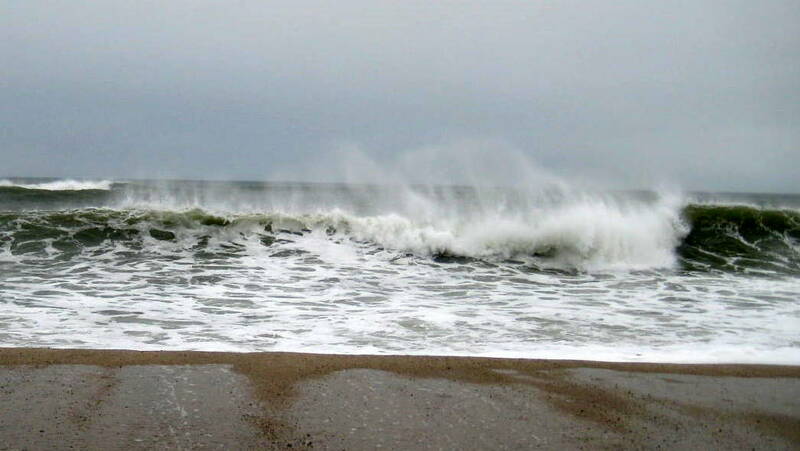 As we were praying, the waves were particularly high and loud. As I watched the waves crest, I focused on the curl inside of the wave and many memories flooded my mind. I hold a treasured memory, as a young girl, of riding the waves with my dad. Having grown up on an island, Dad spent a lot of time in the water. He taught me to ride the waves, which I loved doing. I still enjoy it. I remember the lessons he taught as he showed me how to find the “sweet spot” in the curl of the wave. He reminded me to keep my hands outstretched as I got caught up in the curl — and to allow the power of the wave to take me to shore. If I got in at just the right place, one wave could take me all the way to the shore. He had this down to a “fine art”. I was amazed at how far the waves would take him… as the sand would scrape his stomach. Are not two sparrows sold for a penny? Yet not one of them will fall to the ground apart from the will of your Father. And even the very hairs of your head are all numbered. So don’t be afraid; you are worth more than many sparrows. Feeling the sorrow of losing my father-in-law brought me back to the times with my dad. In my mind’s eye, again I could picture the exuberant rush in catching the power of the wave and being carried in by its power. I could almost feel the water rushing over my head and beside me, forcing me toward the shore — all the while tucked into the power of the curl. That, to me, is what it feels like to be tucked inside of the shadow of God’s arms. The following Psalm describes well, to me, the power of God as can be felt in the curl of the wave. I want to know him, continue to feel the protection of his arms — and to know and reflect his mighty power! Jeanie~ Greetings from Asheville, NC. Thank you so much for the great insights. They are very refreshing to me. I keep forwarding these to all the ladies here in the new Asheville Church. This one is especially touching for me. I was touched by the same message earlier today when listening to a song called “Someone Worth Dying For”. So many people just don’t grasp this concept of how much God values us. We will be praying for you and Wyndam at this time. We love you guys. Love this. it encouraged my soul being reminded of the ocean and God’s might and creative power and how much he values me. Thanks for sharing your heart and linking it to fb Jeanie. Jeanie, what wonderful memories of your dad – I remember his big smile and bright eyes!! I only had the pleasure of being around him a couple of times!! Please give Wyndham and yourself a big hug – so sorry for what you are both going through. We have both lost our parents now and it is a different world without them. Thanks Katherine. Wyndham’s dad was our last parent. It is sad for a generation to be gone. Give Phil our love as well.